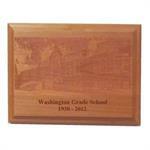 Engrave Area (W x H): 11" x 14"
Here's a great gift for presentations, awards or special family occasions. 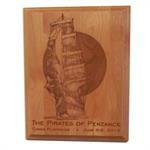 These laser engraved plaques are made from beautiful alder wood. The alder engraves beautifully to make a truly memorable gift. The plaque measures 12" x 15" x 3/4" with a beautiful beveled border. 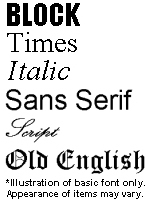 The laser cuts sharply into the wood in your choice of fonts and images in portrait or landscape layouts. 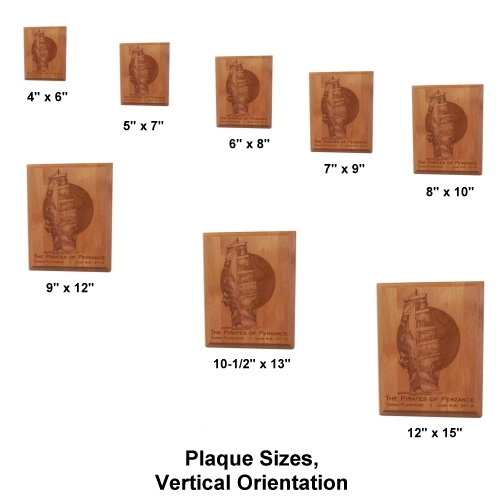 The large image area is perfect for you to develop your own custom artwork for the plaque. The laser cuts images clean, very sharp and high resolution. 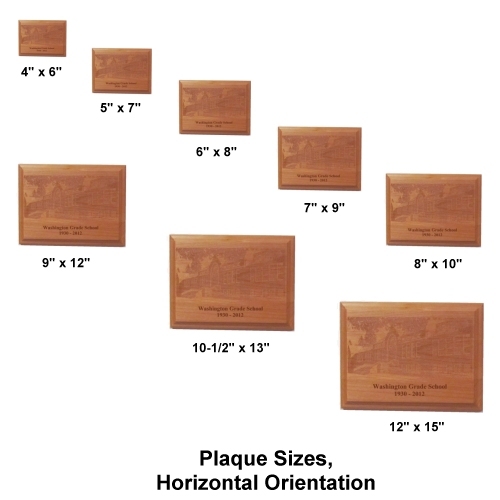 Back of plaque includes key slots for horizontal or vertical wall mounting. The standard* engraving image area on the plaque is 11" x 14" in portrait or landscape format. Just send us your artwork (click here for instructions); we'll send you a digital proof of your plaque for your review before it is engraved. Solid Construction - these beautiful plaques are made from alder wood with a satin lacquer finish. The plaques have a beautiful beveled border and include key slots on the back for portrait or landscape wall mounting. When laser engraved the light colored alder wood turns a beautiful natural brown to highlight the engraved image. 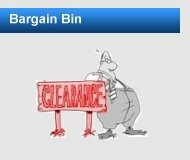 Quantity Discounts - order multiple laser engraved plaques of the same size with the same engraving and your cost goes down. 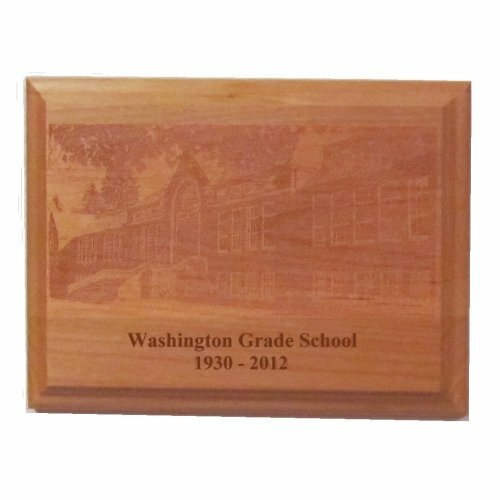 Great for holiday celebrations, family special occasion gift giving, award ceremonies or business presentations..
100% American Engraved - all plaques are 100% laser engraved in Vancouver, Washington USA. Delivery to meet your schedule - standard production for orders of up to 10 plaques is normally from 5 to 7 working days from receipt of your order except for the holiday season from November 15 through December 31 when standard production goes up to 1 to 10 working days to accommodate our surge of holiday orders. PLEASE NOTE: Production times represent production time from our receipt of order to shipment; they DO NOT include shipping time in transit. Our laser engraving makes it easy for you to combine text, images and photographs and then engrave them into a customized wood plaque for any occasion. *PLEASE NOTE: The standard engraving options shown here are but a small fraction of the engraving we can perform with our state of the art laser engraving systems. Logos, pictures, names, messages, etc. can all be engraved. We also have a number of other plaque materials available. If you want fully custom engraving, whether 10 or 1,000 or more for your next promotional product giveaway, contact us for details. After you check out, if your items are going to be engraved using custom artwork, just prepare your artwork and send it to us. Click here for detailed instructions on how to send your artwork to us.